The salmon season this year along the north shore of Lake Superior was one for the books, and not in a good way. Anglers in the Thunder Bay area had one of the poorest seasons in recent memory. Numbers and size of our Chinook was disappointing. Our local salmon association derby was somewhat of an indicator that this was the case. 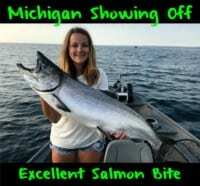 The largest salmon weighed in during the weeklong derby tipped the scales at only 8.39-pounds. Keep in mind, Thunder Bay salmon don’t grow to the gargantuan sizes West Coast fish do or those caught by our friends down in Southern Ontario. On the other hand, during the weeklong derby a 15-pound salmon isn’t typically rare. Unfortunately, this summer most anglers experienced a tough season that yielded smaller than average salmon and fewer numbers than we’d expect. Typically, I catch a number of fish running at least 6-10 pounds. Conversely, this year I didn’t lay my hands on a fish greater than five pounds. I spent a fair amount of time on Lake Superior this summer, and in the Nipigon River system in the late summer into fall. Both yielded less than stellar results. Thankfully, Lake Superior has plenty of lake trout to offer anglers action, allowing us to generally get fish each trip, but salmon numbers were definitely down. When trolling on the lake for salmon and lake trout, I had my best results trolling Fire Brined herring behind my riggers. I believe the allure of real bait and the added colour and scent Fire Brine imparts it increased my already slim odds. In Thunder Bay we are typically somewhat spoiled with quality salmon fishing near the heart of the city. This has been a bit of a surprise. Meanwhile, there are a few possibilities why salmon weren’t plentiful and were so small this year. This has been an unusually cold year, with a late, cool spring, and a relatively short, cool summer. With cooler water temperatures, these waters become less productive for food, creating less than optimum feeding conditions for Chinooks. Cooler water temperatures along the north shore of Lake Superior might have forced salmon to migrate to warmer waters, potentially down to the south shore of Lake Superior, which Lake Ontario shares with Minnesota, Wisconsin and Michigan. It could also be a result of a poor year class, with less fish, and less older, larger fish. With Chinook typically living three-to-five years before spawning, this could be reflective of poor conditions for spawning salmon in 2010 or 2011. In those years low water in the fall created poor spawning conditions for spawning and larger that average numbers of salmon were likely caught and harvested during these low conditions. It could also be a result of a poor year class, with less fish from that year, meaning there are less older, larger fish. With Chinook typically living three-to-five years before spawning, this could be reflective of poor conditions for spawning salmon in 2010 or 2011. In those years low water in the fall created poor spawning conditions. 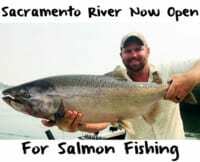 Also due to lower water levels, fish were more vulnerable to anglers and larger than average numbers of salmon were likely caught and harvested. Regardless of which theory is correct, it was a quieter year along the north shore, but there were still fish to be caught. With the fall run in full swing, anglers still have plenty of opportunity to target salmon on the rivers, as well as plenty of time to fish the lake itself. It’s still a great time to be out on the water and we can hope for a better season next year. Editor’s Note: Tom Armstrong is a well known writer and fishing personality in Thunder Bay, Ontario, Canada. 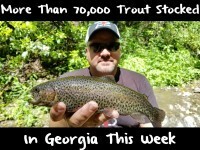 To follow him please visit http://www.tomarmstrongoutdoors.com/.